I recently wrote a guest post on how to help a picky eater become an amazing eater using 3 simple tips. I loved being a guest blogger for Kenda Mullert. I have never met Kenda in real life, but I loved interacting with her through emails, phone, and Facebook. I like how genuine she is and how much she wants to help people who are trying to lose weight and can’t get there on their own. If you are struggling with weight loss, you should not only check out her site, but also her youtube videos. You’ll fall in love with how easy she makes the weight loss journey. 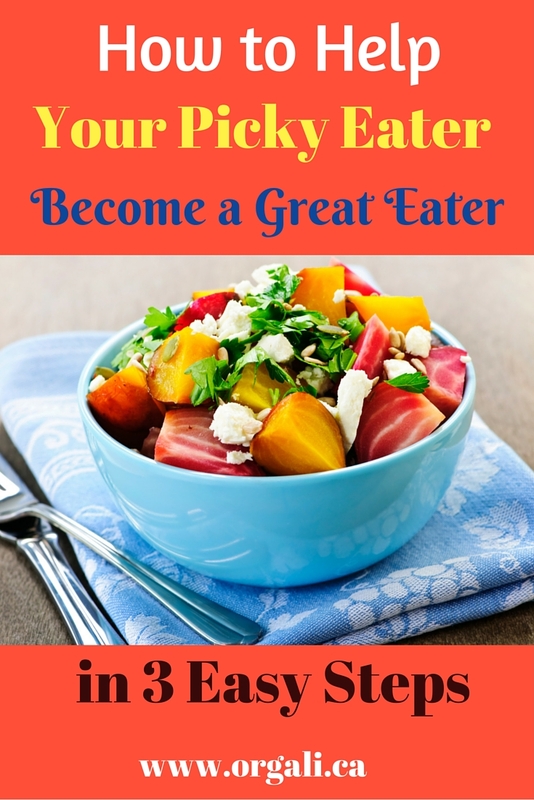 The article I wrote on Kenda’s site is about how to help your picky eater become an amazing eater in 3 easy steps. All 3 tips are important, but I consider number 2 the most important. If you want to read the whole article, here it is. I hope you’ll enjoy reading it. Then let me know if you have a picky eater (small or big) in your life and whether you will apply at least one of these 3 tips. I hope you will because they are easy and they really work! “I am a recovering picky eater. Yes, I am. And I am proud to say so. It sounds better than “I am a picky eater”, don’t you think? I grew up a very picky eater. It was painful. I had a domineering father that didn’t respect my fear of textures. Luckily I didn’t develop any food issues! In my early 20’s my taste buds started to change and my fear of textures started to dissipate. As an adult I am an adventurous eater that will eat just about anything if it is prepared nicely. Unfortunately I married an extremely picky eater who is also terribly stubborn. He will not try anything that he doesn’t want to. He has a great fear of food. One of our daughters turned out picky as well. She is 16 now and doesn’t have that stubborn streak. She has tried crab, which she has a fear of, avocado, which she does not like still, and other interesting foods. She is still picky but will try things from time to time. She is difficult to feed. Her diet is not so great. I gave up on my husband. He makes all his own meals now. Finding a restaurant to eat at is difficult. They must have his go-to American dishes on the menu or he gets pouty. I feel fortunate to have come out the other side of this disability and am grateful with every fork full.